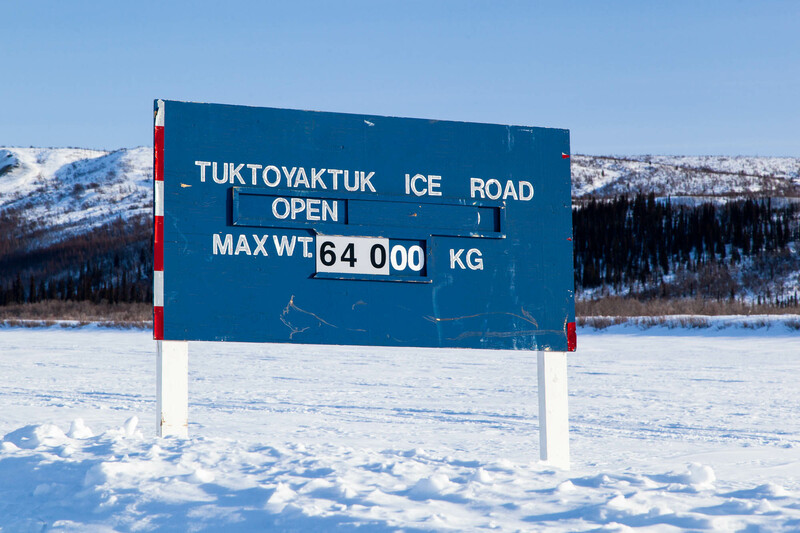 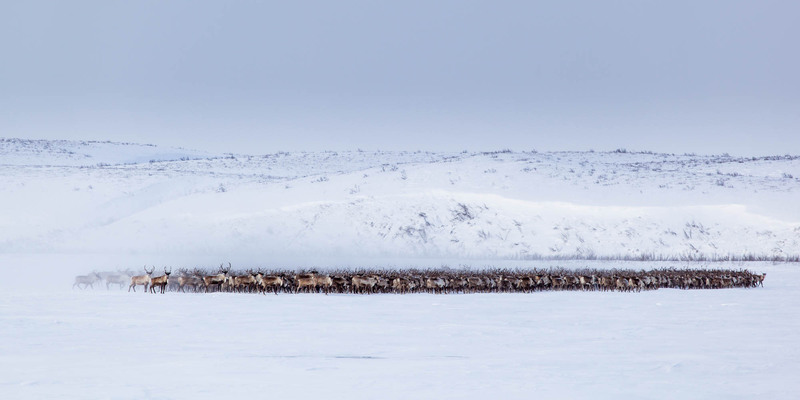 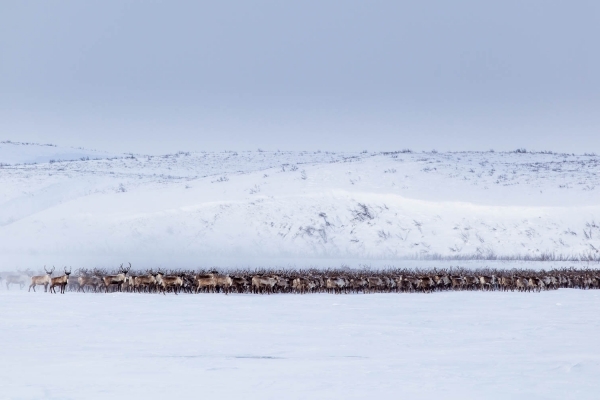 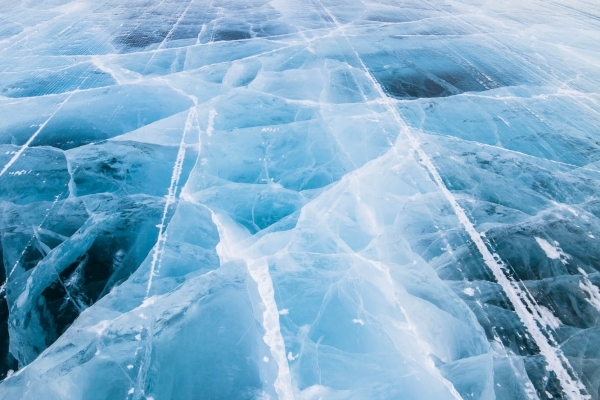 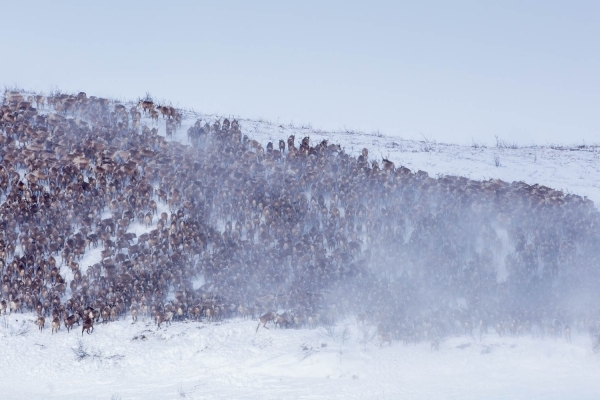 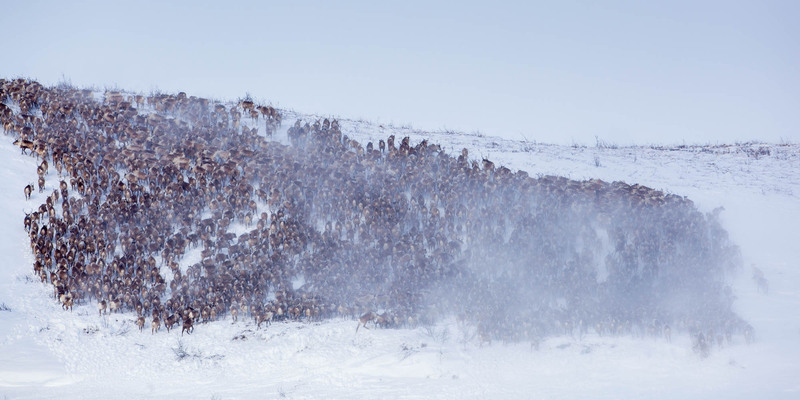 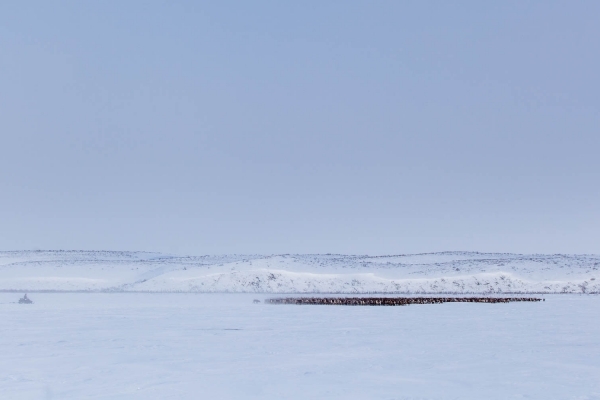 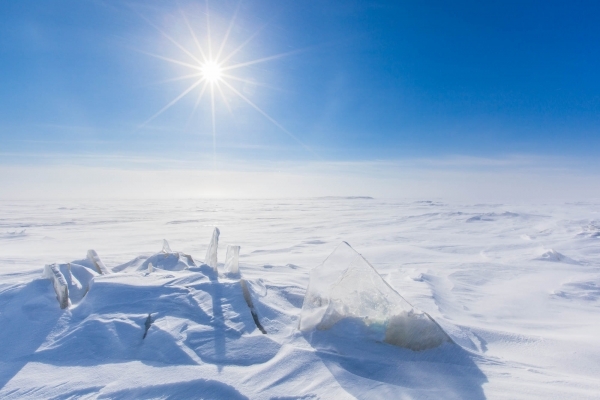 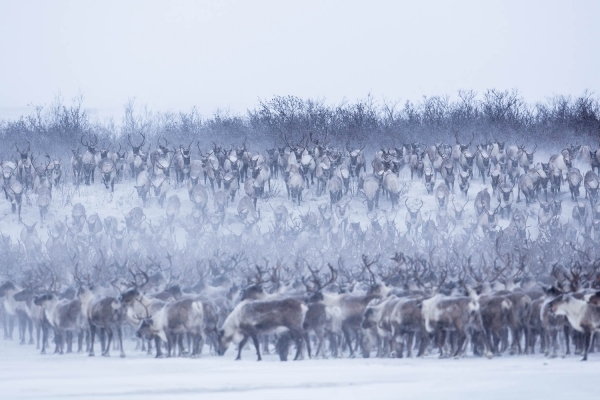 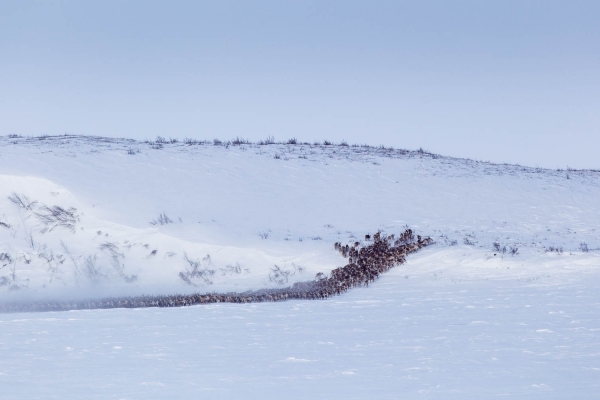 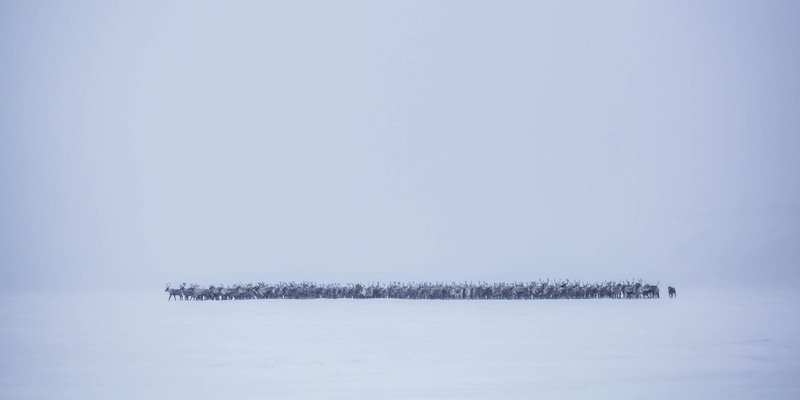 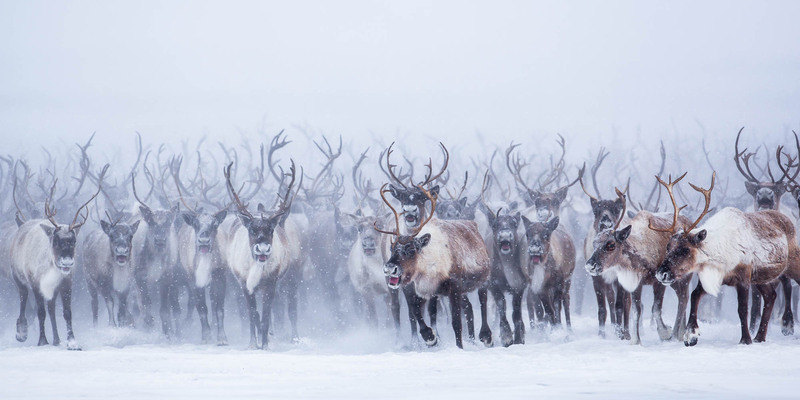 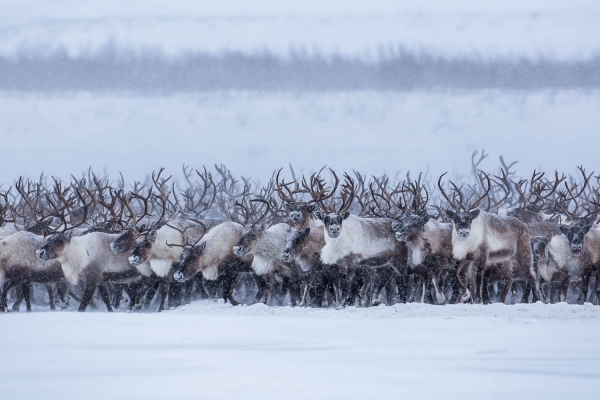 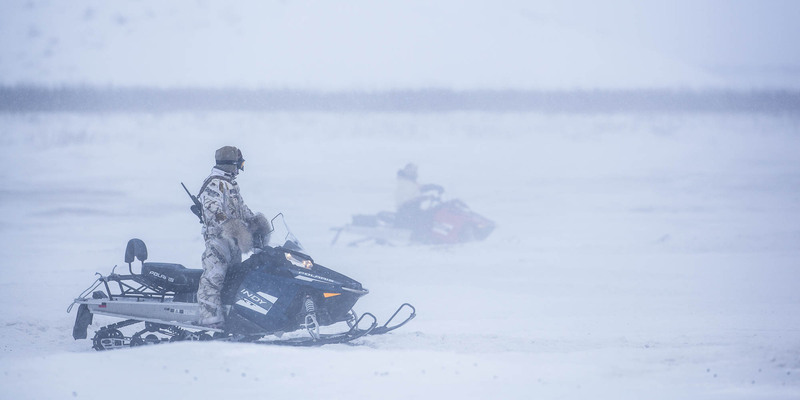 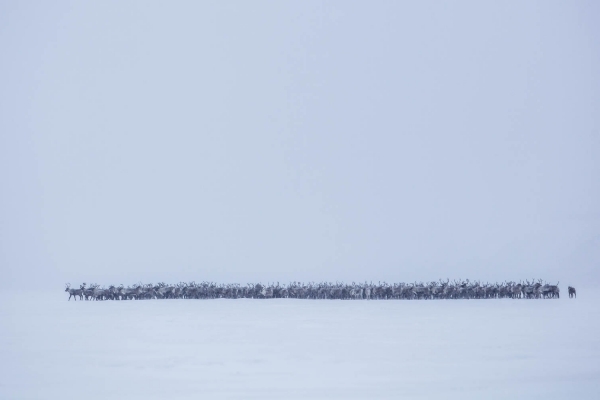 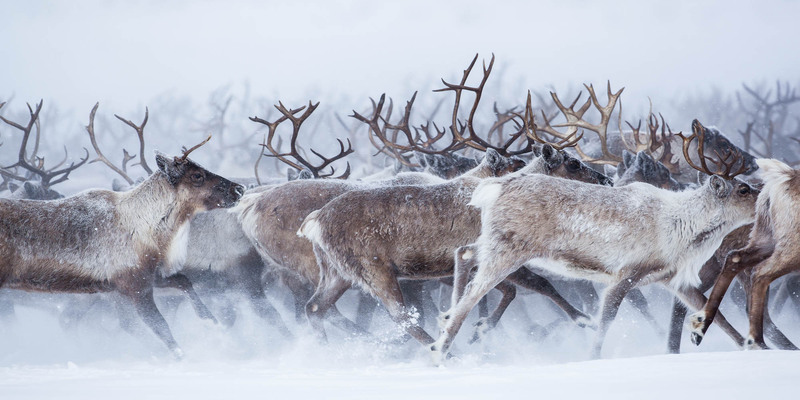 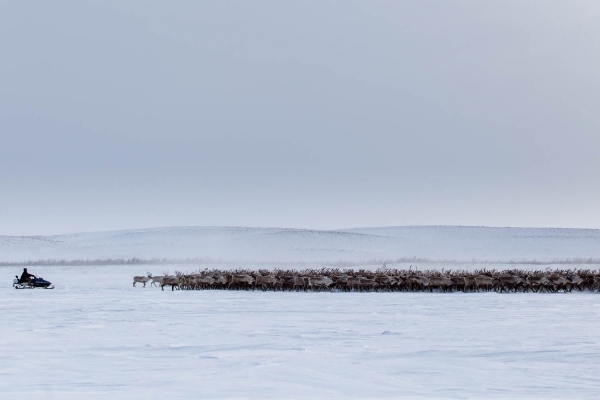 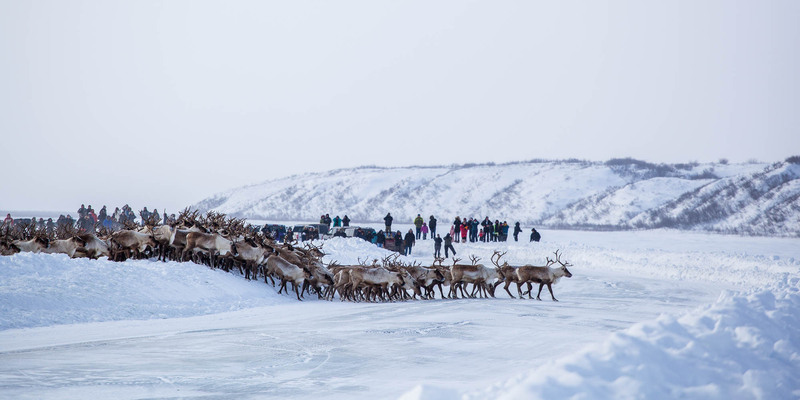 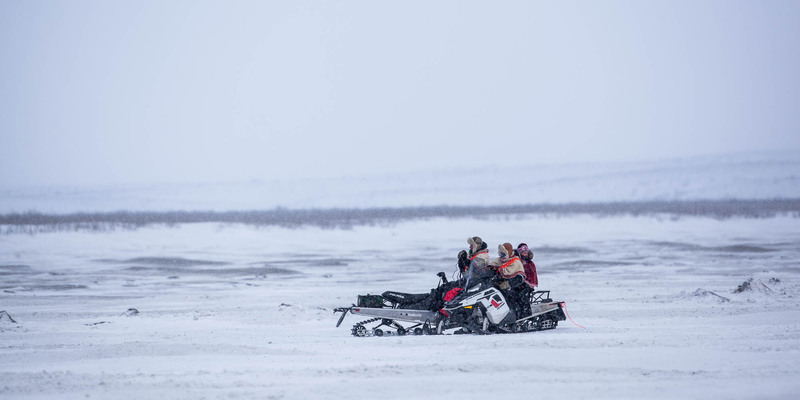 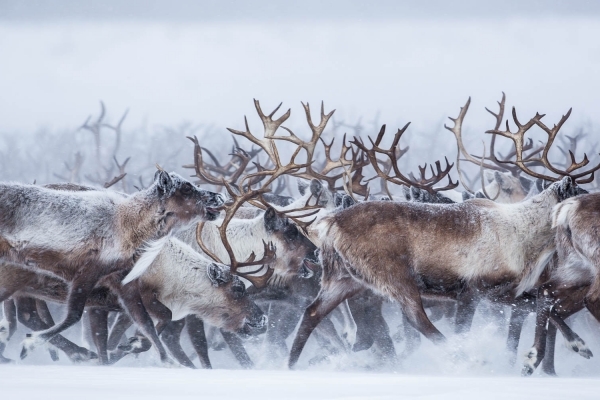 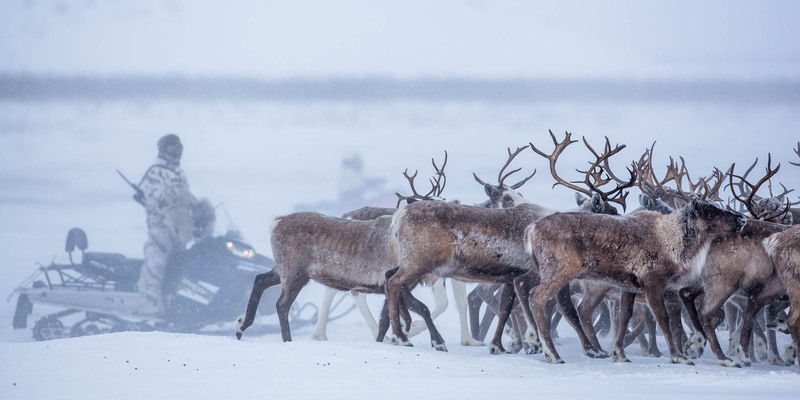 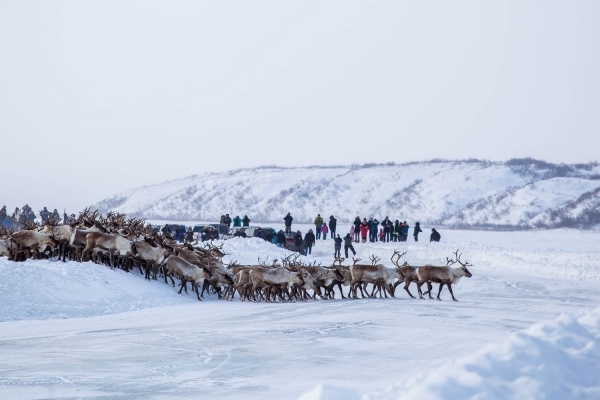 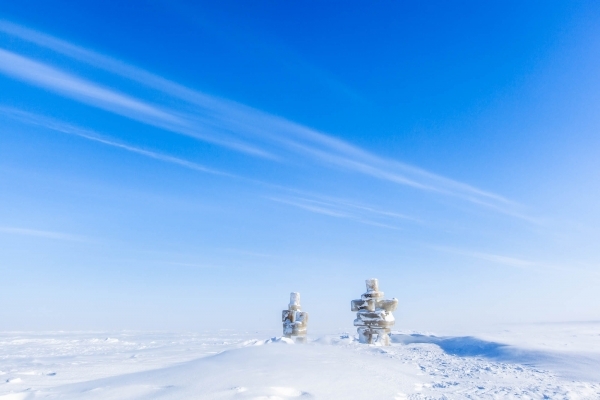 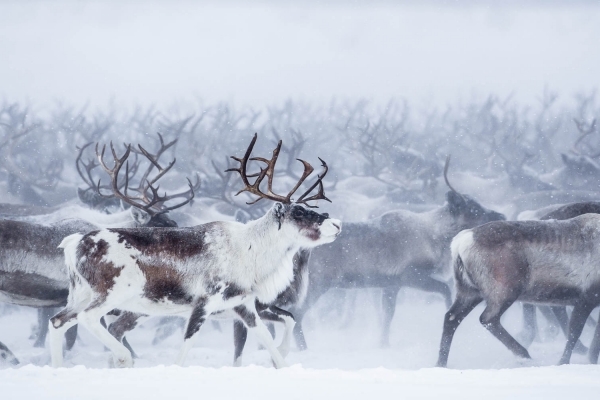 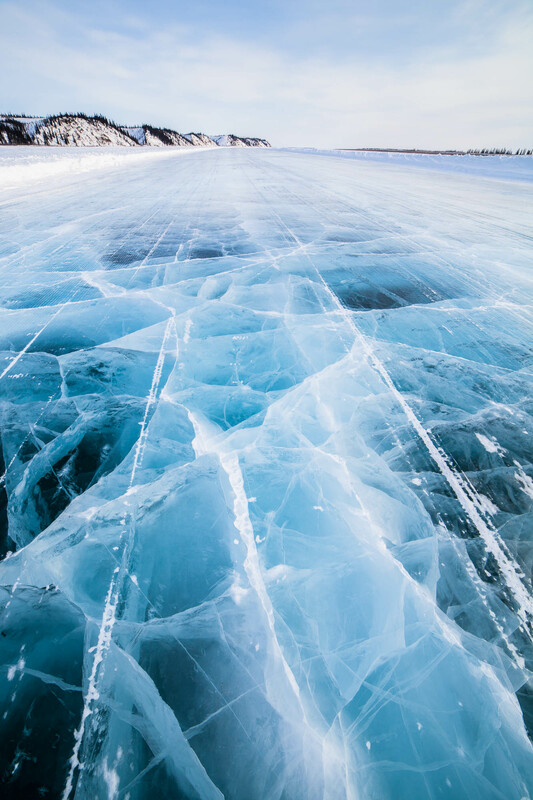 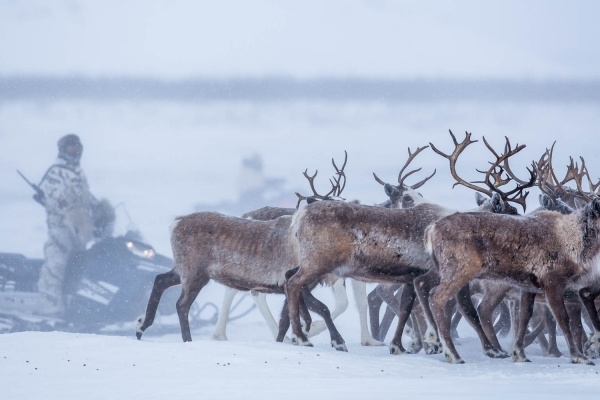 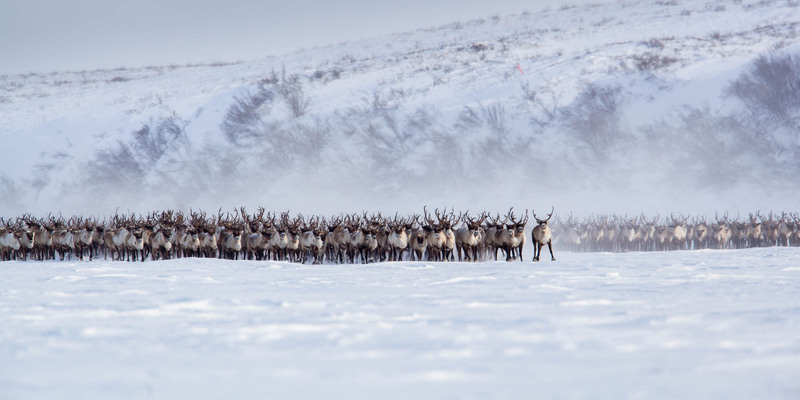 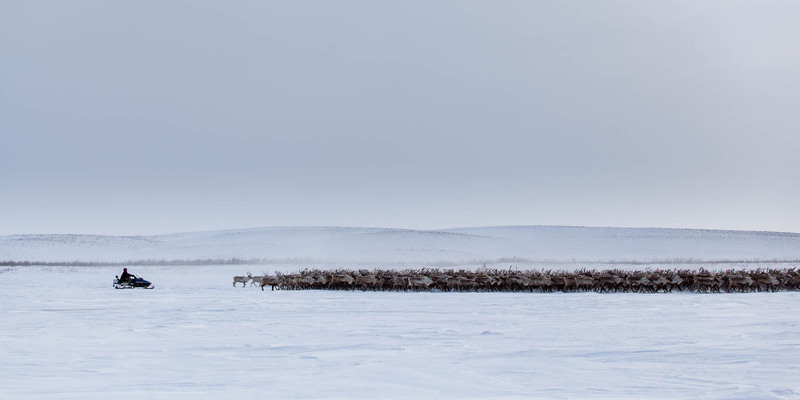 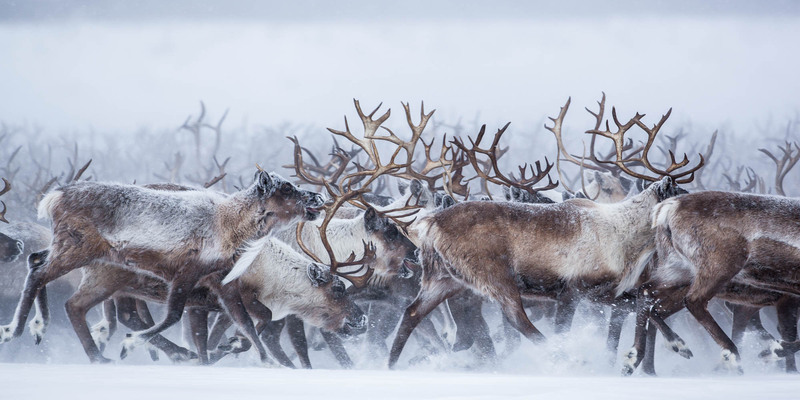 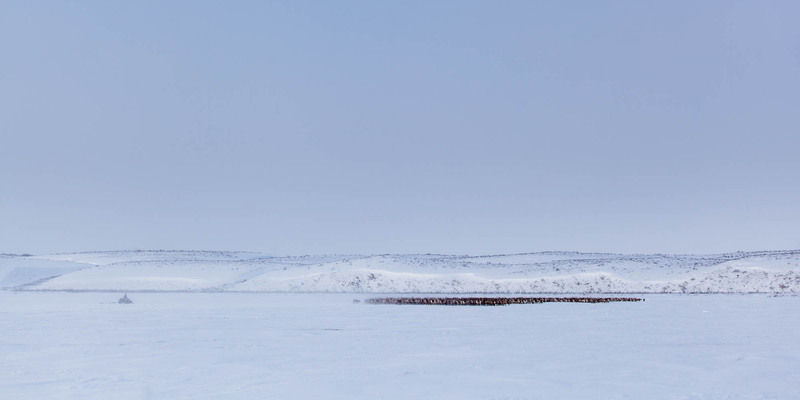 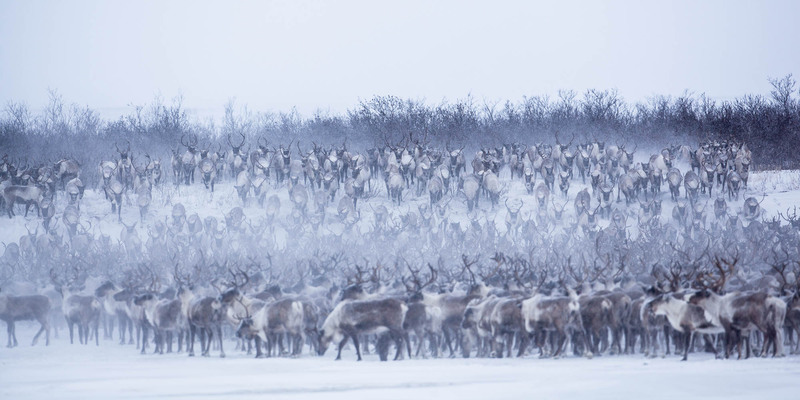 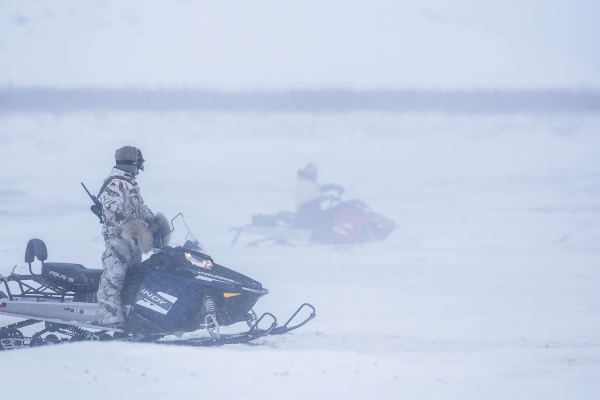 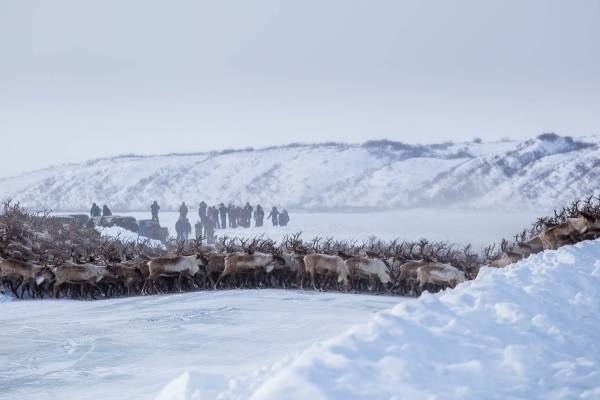 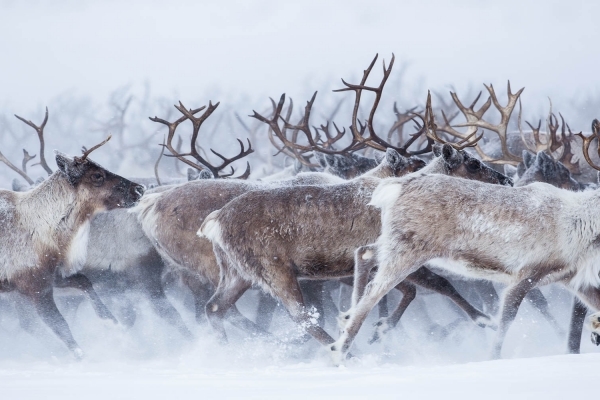 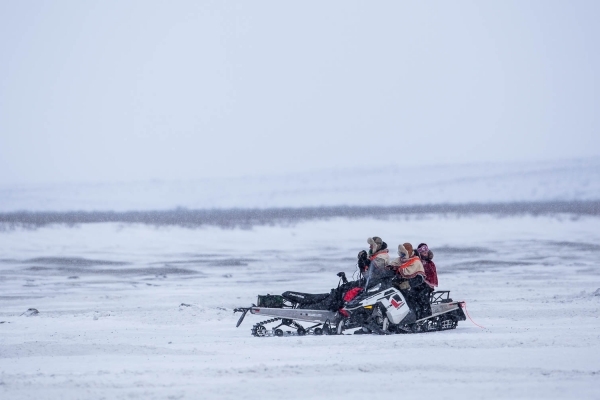 Every year around April, about 3,000 reindeer led by herders are making their way to their calving grounds on Richards Island, near Tuktoyaktuk in the Canadian Arctic. 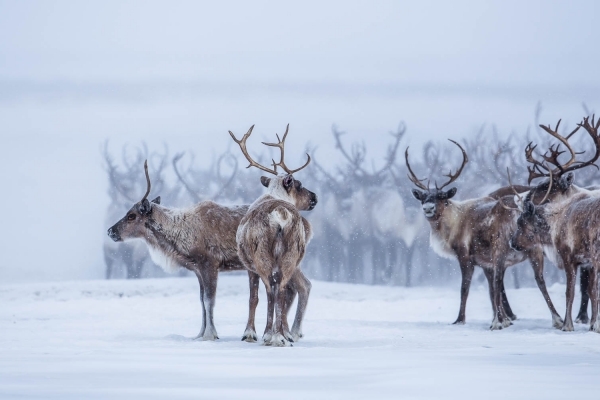 Canada and Alaska are home to reindeer and caribou (both Rangifer tarandus), similar-looking animals with vastly different lifestyles. 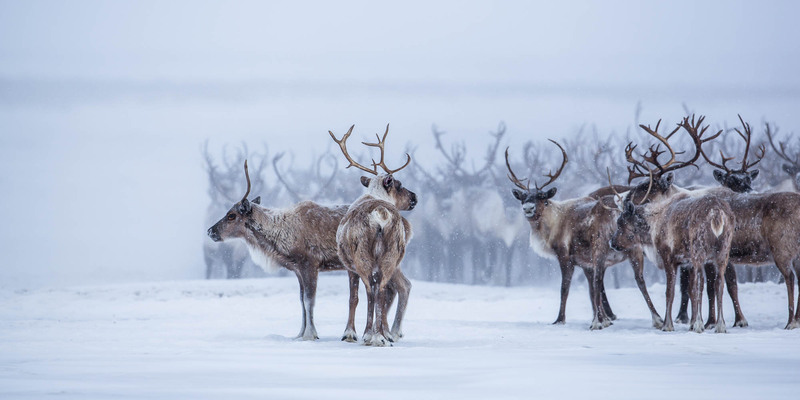 Reindeer and caribou look different, but they are the same species. 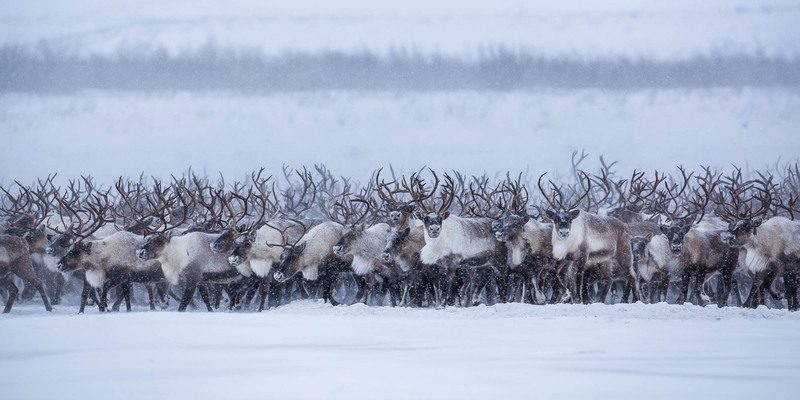 Caribou are large wild animals, which can be found above the tree line in arctic North America and Greenland. 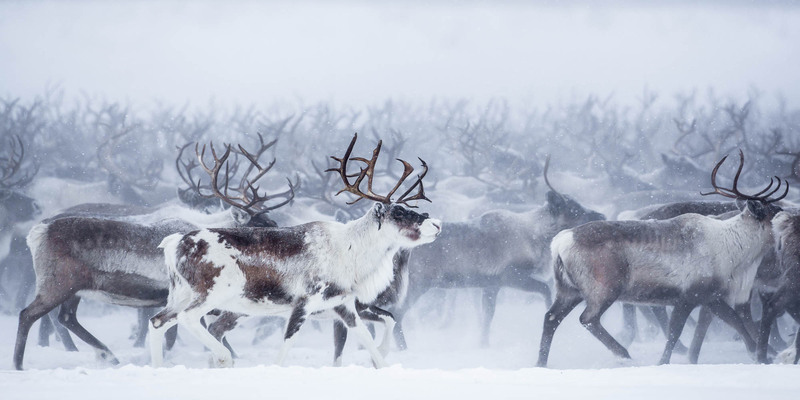 Reindeer are slightly smaller and were domesticated in northern Eurasia about 2,000 years ago. 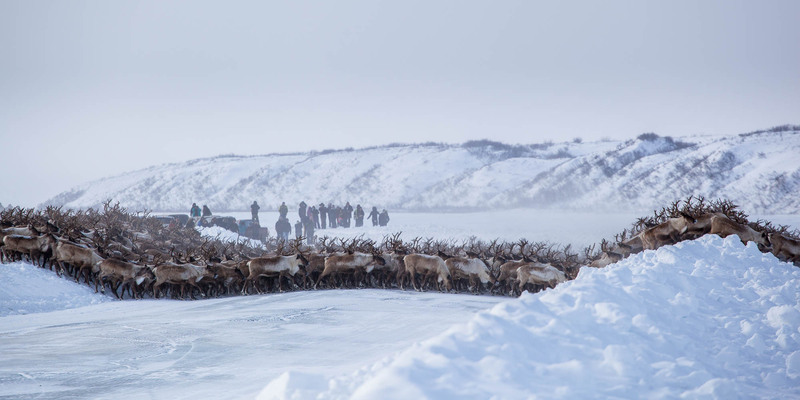 Today, they are herded by many Arctic peoples in Europe and Asia including the Sami in Scandinavia and the Nenets, Chukchi and others in Russia, Alaska and Canada. 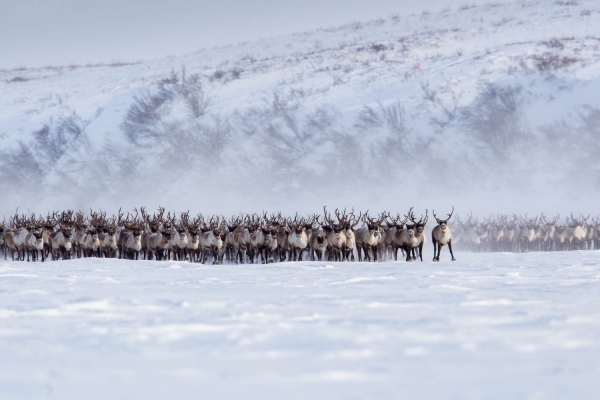 In order to decline of caribou in the 1920’s and to stave off famine of the Inuvialuit (Western Canadian Inuit) of the Mackenzie Delta, the United States and Canadian governments joined together to launch the Alaskan Reindeer Experiment and the Canadian Reindeer project. 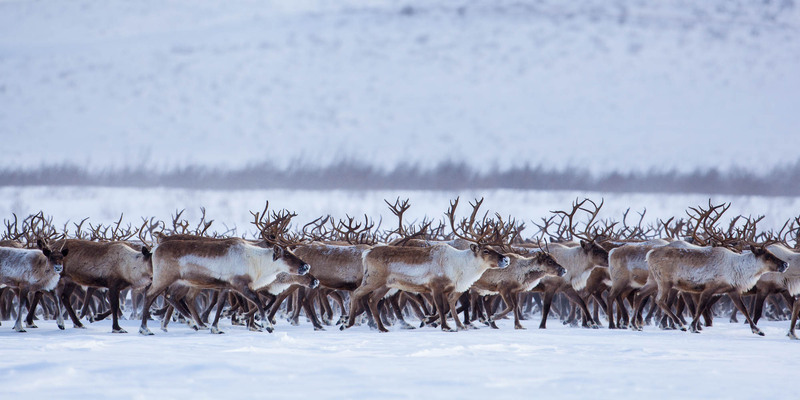 In 1929, they imported 3,440 reindeer to Canada via Alaska from Scandinavia in the Mackenzie Delta. 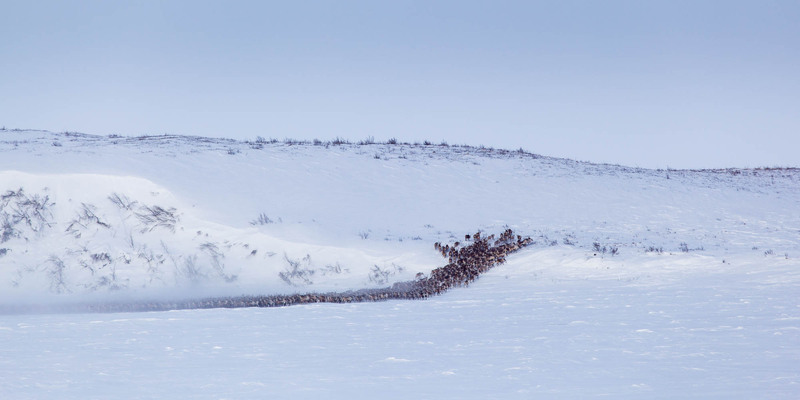 Herding is still practiced today by the descendants of those early reindeer herding pioneers. 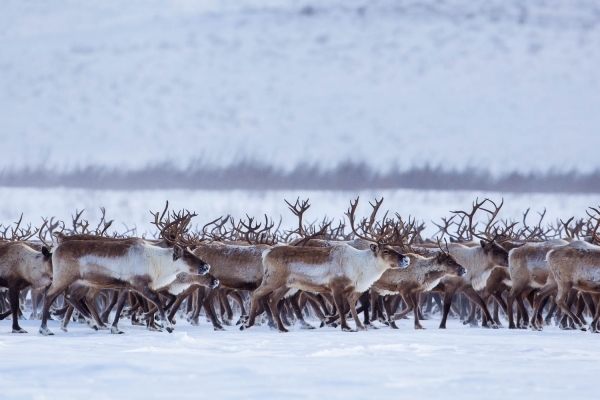 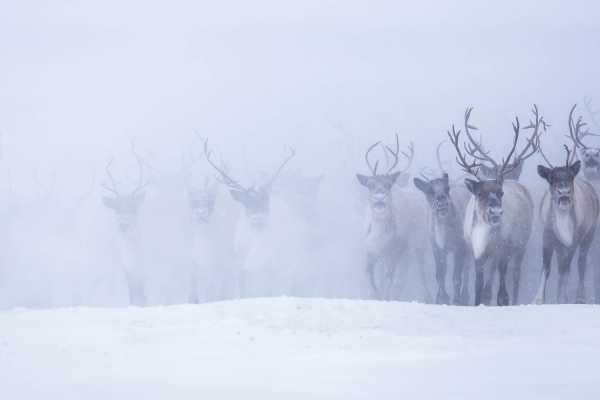 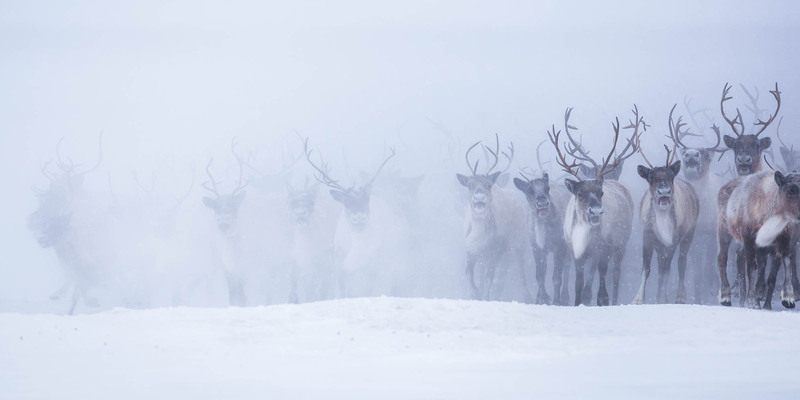 The Mackenzie Delta Reindeer Herd in the Northwest Territories is the only free-range herd of reindeer in Canada and consists now of about 3,000 animals.